Since graduating from the National Music Academy, Mr. Long has performed professionally and traveled with numerous bands and orchestras. Formerly a member of the Asian Youth orchestra, he has performed with the Hong Kong Philharmonic Orchestra and also a guest soloist at four EU Jazz Festivals. His schedule for UMA 2018-19 is on Mondays, Tuesdays and Thursdays. Cam is a Classical Guitar Teacher at the National University of Art Education and she graduated from National Music Academy receiving guitar performance honors. Cam plays professionally in bands in Hanoi which have recorded many CD's and performed on National Television. Her schedule for UMA 2018-19 is on Tuesdays, Fridays and Saturdays. Dung plays rock, jazz and blues guitar professionally for bands, theatre and television. He is a graduate of Vietnam National Music Academy where he was awarded several prizes for performance excellence. His schedule for UMA 2018-19 is on Mondays, Wednesdays, Thursdays, Fridays and Saturdays. Victor studied classical guitar under Maestro Jose Valdez at St. Paul University Manila and Lester Demetillo at the University of the Philippines. He has performed on "Paco Park Presents..." a nationally-televised musical programme where he was featured both as soloist and ensemble member. While in university, he attended master classes conducted by Jorge Orozco from Spain and Angelito Agcaoili from the USA. Victor has been teaching the instrument for the past 25 years and his schedule for UMA 2018 - 19 is on Thursdays. Having started playing drum and percussion at the age of 9, Mr. Huy graduated from Vietnam National Music Academy specializing in drum and percussion performance. Formerly a member of the Vietnam National Music Song and Dance Theatre, he works professionally with jazz and rock bands. 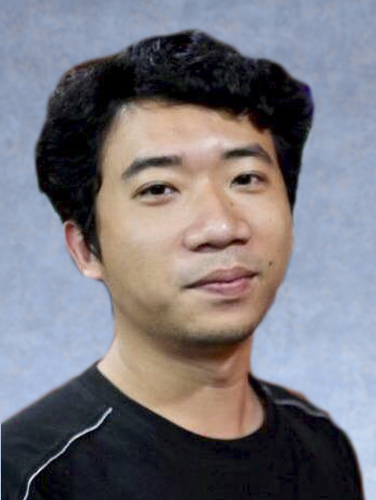 Huy has years of experience teaching drums and percussion to children and adults in Hanoi. His schedule for UMA 2018-19 is from Mondays to Saturdays. Cau studied music at Vietnam National Academy of Music receiving an undergraduate degree in Jazz Piano and a Masters degree in Musicology . He has been a piano teacher at UMA since the beginning of the Academy. His schedule for UMA 2018-19 is on Mondays, Tuesdays, Wednesdays and Thursdays. 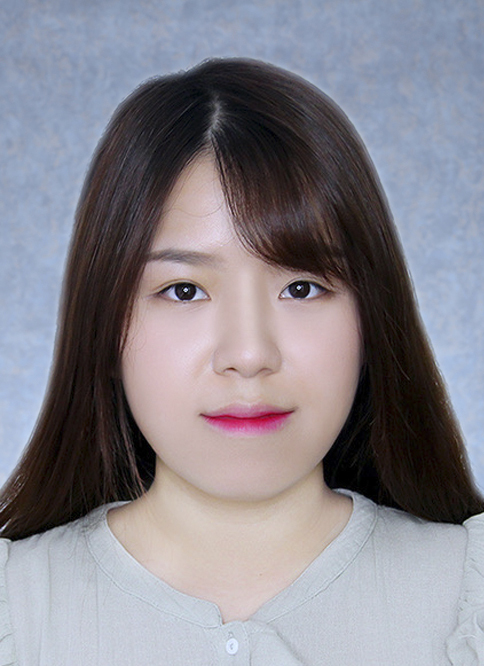 Giang graduated from Vietnam National Music Academy with a Master of Arts in Music Performance. She has been teaching piano at the National Academy since 1997 and been active as a music teacher in various international schools in Hanoi. Her schedule for UMA 2018-19 is on Tuesdays, Wednesdays and Thursdays. Anh graduated from the Royal Academy of Music with a Master in Music Performance and got elected a licentiate of the same Academy. 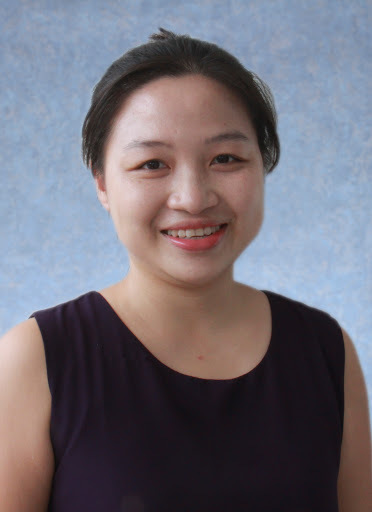 Upon returning to Vietnam, she taught at the National Music Academy and has been working in other music schools specializing in preparing students for ABRSM practical and theory exams. Her schedule for UMA 2018-19 is on Thursdays. Trang obtained her Masters Degree with Distiction from the Royal Academy of Music-London in 2010. 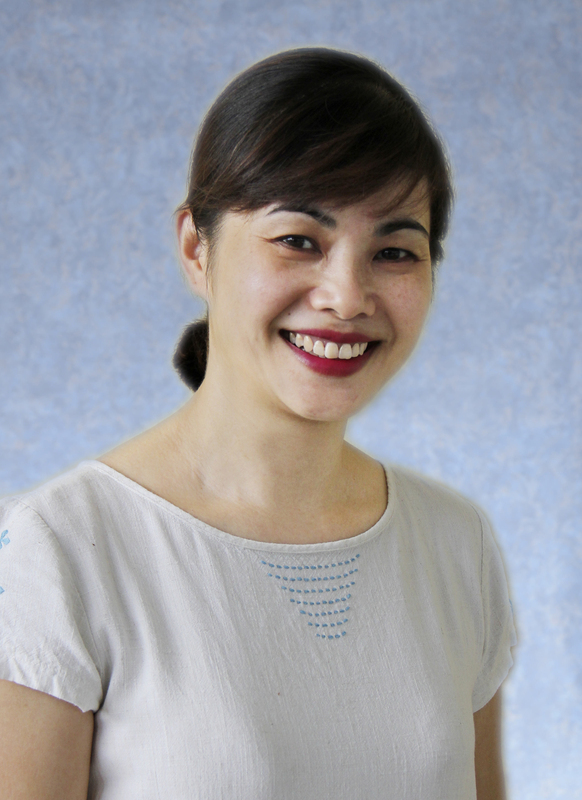 An international award winner and official teacher at Vietnam National Academy of Music since 2006, Trang has had many years of teaching experience. Her schedule for UMA 2018-19 is on Wednesdays. Tu Anh has a music degree from the National Academy of Music majoring in piano performance and teaching. Her schedule for UMA 2018-19 is on Mondays, Fridays and Saturdays. Viet Anh obtained her Masters degree in Musicology from Vietnam National Academy of Music and the Diploma in Music Education from Malmo Academy of Music. She joined UMA after having much experience teaching piano to adults and children in Hanoi. Her schedule for UMA 2018-19 is on Mondays and Thursdays. Linh graduated Bachelor of music in Piano performance in Queensland Conservatory, Australia. She obtained Master degree from the same conservatory the year after. Back to Vietnam, she gave a Piano solo recital at the National Academy of Music and is currently teaching Piano there. 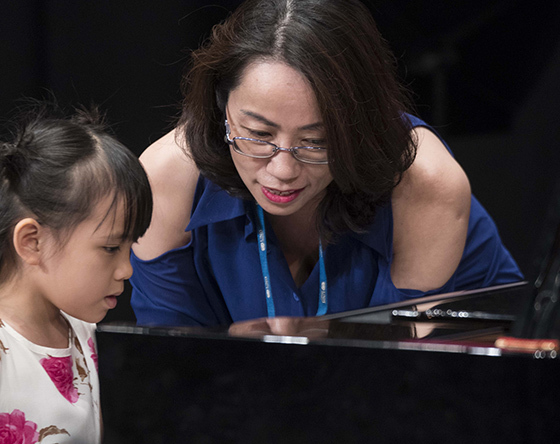 Despite her young age, Ms. Linh has experienced teaching kids to prepare for professional conservatory audition as well as for the Certification exams such as Trinity, ABRSM and AMEB. Her schedule for the UMA 2018-19 is on Tuesdays and Fridays. After studying music education in Germany, Viet Le has been working at the Hanoi national university of education since 2011. His teaching method covers all genres from classic, jazz to pop music along with the most well-known programs such as ABRSM, LCM, RockSchool... His concept focuses on high efficiency and passion in every piano lesson. His schedule for the UMA 2018-19 is on Tuesdays and Saturdays. Anh has a Masters Degree in Violoncello performance from Vietnam National Music Academy and has been performing as the principal cellist at Hanoi Philharmonic Orchestra since 2004. Her schedule for UMA 2018-19 is on Tuesdays and Wednesdays. Since graduating from Vietnam National Academy of Music with a Masters degree in Violin performance in 2000, Binh has been performing professionally in various orchestras whilst working as a strings teacher at the National Academy. Her schedule for UMA 2018-19 is on Wednesdays. Chau graduated from the National Academy of Music with a degree in violin performance and she has been performing as the principal violinist at the National Opera and Ballet Theatre ever since. She has been teaching violin to students at international schools in Hanoi for years. Her schedule for UMA 2018-19 is on Mondays, Wednesdays and Fridays. Linh graduated from the National Academy of Music with a degree in violin performance and she has been a member of the National Symphony Orchestra for over ten years. Her schedule for UMA 2018-19 is on Tuesdays and Thursdays. Nga obtained her vocal performance degree at the National Academy of Music and theater director degree from Hanoi Academy of Theater and Cinema. Since then, she has been performing professionally for Vietnam National Opera Ballet and working as the director of Royal Art Performing Center. Her schedule for UMA 2018-19 is on Mondays, Fridays and Saturdays. Dung graduated from the Vietnam National Academy of Music majoring in clarinet and saxophone performance. He has played professionally for the Vietnam National Orchestra, the National Ballet and Opera Orchestra and the Philharmonic Orchestra. His schedule for UMA 2018-19 is on Wednesdays and Saturdays. Hoa studied flute performance at Vietnam National Music Academy for 14 years before graduating in 1998 with a specialist degree. She has been teaching the flute and piccolo at International schools in Hanoi for more than ten years. Her schedule for UMA 2018-19 is on Tuesdays, Wednesdays and Fridays. Since graduating from the National Music Academy, Long has performed professionally and traveled with numerous bands and orchestras. Formerly a member of the Asian Youth orchestra, he has performed with the Hong Kong Philharmonic Orchestra and also a guest soloist at four EU Jazz Festivals. His schedule for UMA 2018-19 is on Mondays,Tuesdays and Thursdays.